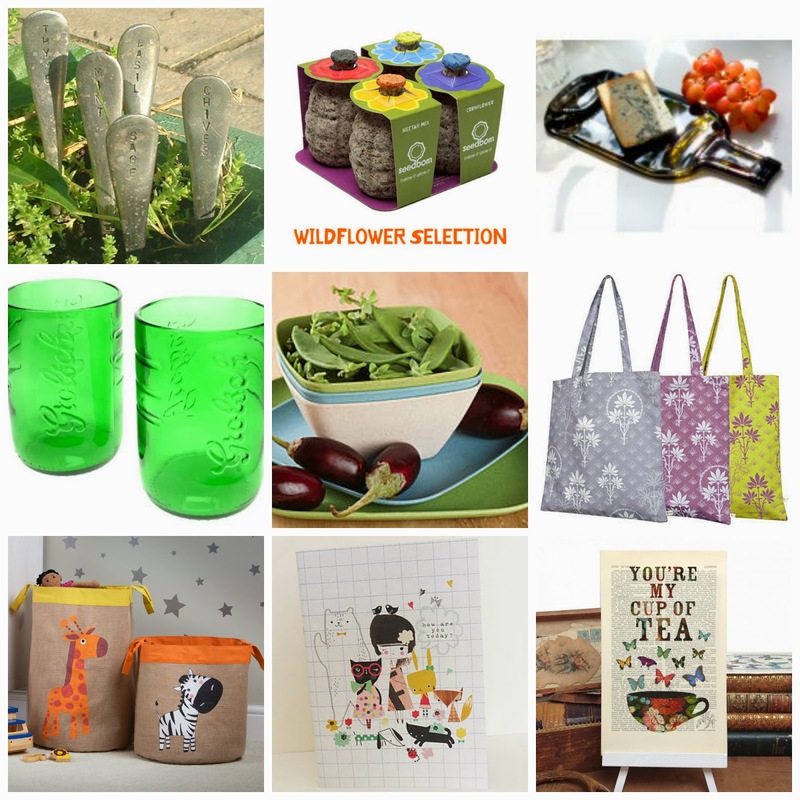 I've searched the interwebs and selected some eco friendly gifts for around the home. When creating these lists I always go for items I would be happy to receive so I hope you feel the same about my choices. Below are the links, working left to right, top to bottom through the pictures above, none of which are sponsored or affiliated links. Sticking with the theme of gardening Kabloom Seedbom (nigelsecostore.com) caught my eye. According to the blurb you can fling these into the garden and let nature do the rest. I came across a number of sites selling recycled glassware with serving dishes from old wine bottles and tumblers made from beer bottles. A favourite website of mine is Not On The High Street. 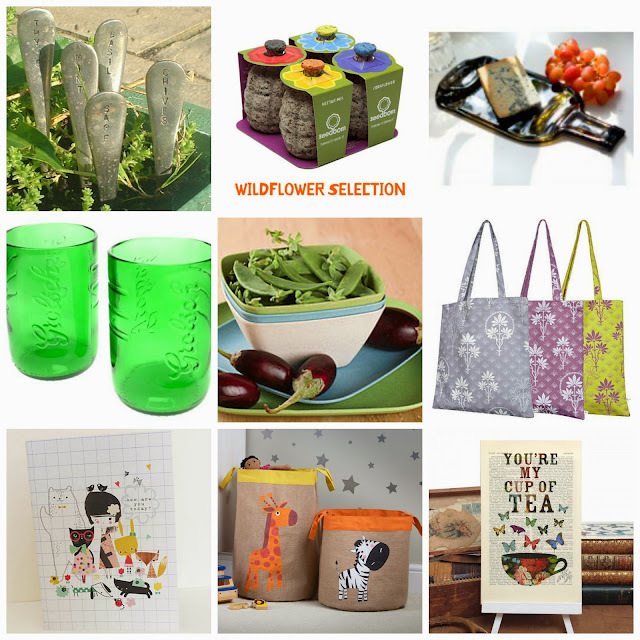 On this site I discovered a tableware collection by Mocha made from sustainable bamboo , some gorgeous organic cotton shopping bags printed using non toxic dyes and a cute notebook made with 100% recycled paper and vegetable oil based inks.